Rock icon Freddie Mercury’s critically acclaimed biopic Bohemian Rhapsody rocked the world’s cinemas and captivated audiences worldwide, with its emotional storytelling of the journey of Mr. Farenheit as the frontman of Queen, and his heavily controversial struggle as a bisexual suffering from AIDS. The film was massively anticipated, raking in almost $900 million in the worldwide box office. In China, however, the film was released with all of its LGBTQ+ scenes and references, both explicit and discreet, completely omitted. 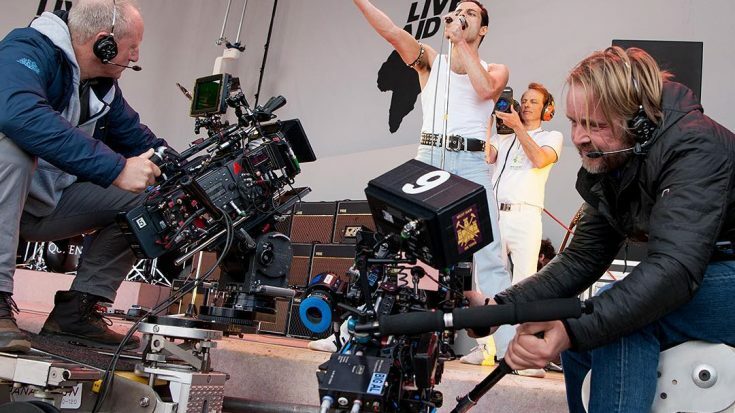 Around 4 minutes of vital footage was cut from the musical biopic, rendering fans and moviegoers in utter confusion at some key points of the film. The heartbreaking moment when Freddie Mercury (played by Rami Malek), came out to his fiance (now ex) Mary Austin (Lucy Boynton) as a bisexual while watching a playback of “Love of My Life” was edited out, leaving the audience wondering as to why the couple parted ways. Mercury’s interactions with his long-time lover and partner Jim Hutton (Aaron McCusker) were removed, and not even an actual picture of the two in the credits section escaped judgment. The film’s recreation of the music video for Queen’s single “I Want to Break Free”, where the band members cross-dressed, was also excluded from being shown. Even the iconic Mercurian crotch-shot, mic stand adjacent to his groin was also removed, artistic license proving no excuse to the rabid censorship streak implemented. One fan in particular, expressed his dismay towards the tampered film. While it was a big step for the LGBTQ+ people particularly in China, Feili Xie, 28 year old fan and also a member of the said community, said “It is seriously and obviously out of context, where many scenes in the film didn’t make any sense at all”.